No matter what your organization does here in the Houston area, Information technology plays a critical role in its success. For small businesses that cannot subsidize a full-time IT professional on staff, the task of supporting IT infrastructure is challenging at best. Most rely on break-fix services that simply address the problem at hand. Not only is this reactive Band-Aid approach to IT expensive, there is little incentive on the part of these service companies to fully diagnose the needs of the enterprise. This is why businesses and organizations throughout the Houston area and across the country are turning to managed IT services to oversee their technology infrastructure. A managed IT services provider alleviates the burden of dealing with the complex nature of your IT infrastructure so that you can focus on growing your business. At NSC, we look at the relationship with our customers as a partnership. Essentially, we are their virtual IT department. Managed IT services is a proactive approach to ensuring that your business does not have to endure downtown and service interruptions. We do this by monitoring all of your devices, allowing us to anticipate problems rather than react to them. Your network requires proper maintenance in the form of patching and updating in order to run optimally. NSC can manage all of these required tasks and get them completed at an affordable rate and during time frames that do not impact your business. Many businesses do benefit from an internal IT staff, but lack an overall strategy of implementing the solutions they need for tomorrow. That is where IT consulting comes in. 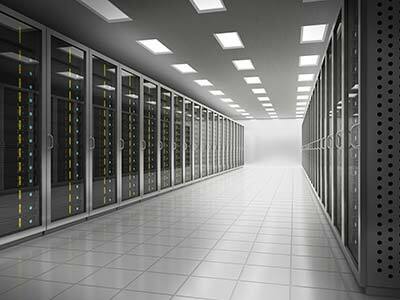 NSC is a provider of IT consulting services to businesses throughout the Houston area. We can analyze your needs and align business objectives with IT solutions. We can show you areas where you can gain greater efficiencies and levels of productivity in order to garner the biggest bang for the buck. Our IT consulting goes beyond advice however. We provide the technology tools, expertise and guidance that our customers need in order to ensure continued success in the years ahead, regardless of where technology takes us. Many business-centric networks begin as a small system, often implemented by a relatively inexperienced network professional. Problems were fixed as they evolve, and this often results in a number of superfluous processes running on the network to keep everything in working order. This can ultimately lead to bigger problems. NSC Information Technology Group offers managed IT services and IT consulting to resolve these and other possible issues before they affect productivity. Many companies have systems in place that are not as effective as they should be to meet specific goals. Our IT consulting services provide time tested solutions by evaluating your current system. Managed IT assists companies by taking a proactive approach to problem solving. Rather than fixing errors as they occur, managed IT services look ahead to what problems may arise and prevent them from taking place. Taking the time to create a customized support plan for your system is essential. Support planning results in increased efficiency for your company. It allows you to focus on core business functions rather than wasting valuable time correcting problems. In addition, comprehensive IT services help control operating expenses. You know where money needs to be spent ahead of time, rather than being blindsided by unexpected expenses. Managed IT services schedule patches and downtime before they are required. When your network requires maintenance, we can ensure that upgrades are performed during the least intrusive time, allowing your business to work at peak efficiency. IT Outsourcing: Is it Necessary? Outsourcing your IT to NSC Information Technology Group helps save you money. With a group of highly-qualified experts at your fingertips, you do not need to worry whether your in-house IT team can solve the problem. Outsourcing your IT needs is less expensive and you are working with certified technicians who are up to date on the latest technology. In addition to managed IT and IT consulting, we also offer networks security and support services to ensure there are no vulnerabilities within your network. Not only can you rest easier knowing your important documents and data are safe, but you can provide clients with an extra incentive to use your services: their information is protected as well. We also offer cloud integration services, structured cabling, and backup and disaster recovery planning. This safeguards your business against natural disasters and malicious attacks through redundant data backups that allow you to restore business functions in a short period of time. Contact NSC Information Technology Group today to get your network secured and running at peak efficiency.